New JW Blue Label Bottle is Now in the PH! Some days we ought to compensate ourselves with a good drink after a hard day’s work. Also nothing beats a glass of whisky on the most triumphant of days, and we’re certainly not alone on that sentiment. [firstpara] Sinong JW drinkers sa inyo? Alas, the Blue Label, the pinnacle of Scotch Whisky blending from the house of Johnnie Walker, is celebrating an epic achievement of past and present as it launches a new look for its iconic luxury bottle. Commemorating the Highland Whisky of 1967 – Alexander Walker’s Scotch whisky masterpiece during the 19th century – the Blue Label has the same rare commitment to flavor and craftsmanship, which is an epic achievement for the modern-whisky era. ”Our new bottle and packaging, celebrates the 19th century bottle, with its iconic square shape, blue glass and thick glass base and has been introduced to ensure that Johnnie Walker Blue Label stands proudly as the luxury blend to celebrate those moments,” says Arif Esenc, general manager of Diageo Philippines. A testimony of its rarity – Scottish Master Blender Jim Beveridge of the legendary blending Beveridge clan personally oversees, hand-picks and skillfully blends rare whiskies with elusive flavors, drawn from the corners of Scotland to produce a true masterpiece. Matured to perfection and blended in small batches, the whisky inside the Blue Label bottle has the perfect combination of heritage and modernity, which makes it an ideal choice for today’s luxury consumer. So hell yeah. The Johnnie Walker Blue Label has finally reached our shores, and it has the mellow, rounded nose, and signature dry smokiness and raisin sweetness worthy of a dozen toast. A single sip alone would reveal the taste of hazelnuts, rose petals, oranges, and dark chocolate, among others. Consider it the nirvana to your taste buds. 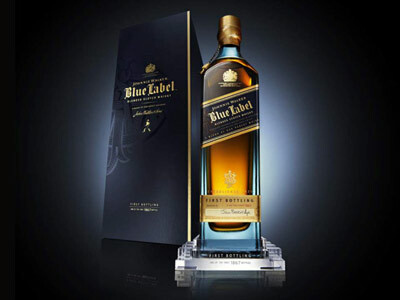 For more info on the incredibly rare and famous Blue Label, visit www.johnniewalker.com.